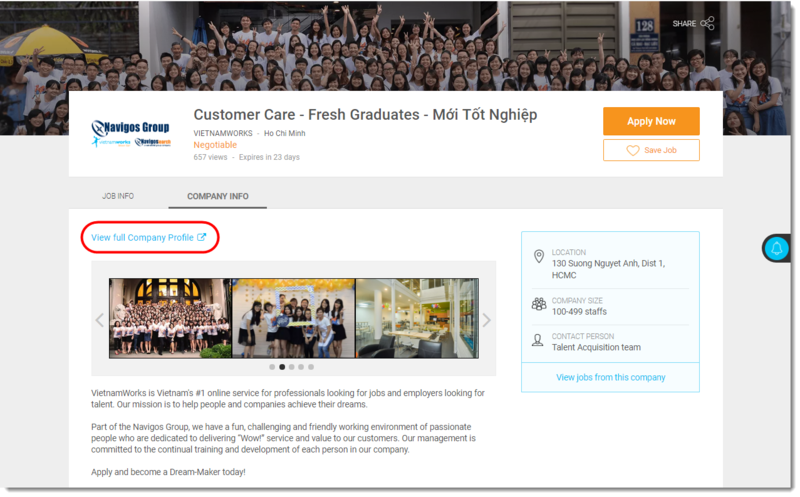 In order to help job seekers know more about companies’ culture, profile, etc…Beside company information in job description, VietnamWorks gives you Companies page. In this page, you can find more information about the company that you are interested in. To open Companies page, please click Companies on the tool bar. Please note: You can access Company Culture profile if this company has registered to open Company culture profile on VietnamWorks.